Sammi Information Systems’ information systems have basically four products lines – industrial PC, ruggedized tablet, PDA and RFID devices. Industrial PC group Smart Station is its best seller. The industrial PC is all-in-one type and there are various different sizes, and applicable in warehouse, forklifts, portyard, etc. They all have enough I/O (USB ports, serial, DVI, etc), for compatible uses in work sites. The SP series PC portfolio is ideally suit for direct machine or visualization tasks. All in one Panel PC devices integrate an industrial PC and winning combination of ruggedness, performance, environment protection as IP 65 (front) and brilliant display. SP 15 made of stainless steel is a proven solution designed by Sammi for healthcare, chemical, harbor and food industry. Its unique design allows it to be water resistanr and flexible for multitude of functions and powered by the Intel Dual core processor. ST units are available for the healthcare industry with 15 inch display under SmartMed Brand. Flagships in the family of mobile computer from Sammi delivering military grade computing to your workforce are the T8 and T10. Designed and tested to MIL-STD-810F and IP65 standards for durability. Having strong resistance to shock, vibration, temperature, and humidity, the two models are able to operate in the harshest environments. Filed Under: KOTRA Tagged With: industrial computers, PDA and RFID devices, ruggedized tablet, Smartterminal Computers Inc.
Sammi Information Systems was established in 1975. As a manufacturer, Sammi is producing industrial PC, PDA and RFID devices. With 30 years of experience in technology and accumulated know-how, Sammi established a branch in LA, USA in 1999. Sammi is currently expanding its overseas markets and gaining a favorable reputation. Sammi has built business relationships with partners all over the world, and Sammi’s main products line, SmarTerminal, has been selling globally and proved its quality and services. Sammi’s SS series of industrial computers are designed for the harshest of environments, with its aluminum casing for weight and heat dissipation available in two different sizes. The SS series can be customized to meet your business needs from installation on the factory floor to vehicle mount systems. Sammi’s devotion to engineering excellence is evident throughout its industrial PC portfolio with features such as stabilized SSD mountings, latest Intel processor technologies, preinstalled and activated windows operating system and advanced communications interfaces – for unparalleled performance and reliability. Filed Under: KOTRA Tagged With: industrial computers, industrial PC, PDA and RFID devices, Smartterminal Computers Inc.
A computer has become an absolute necessity. In fact, these days our lives seem to revolve around it. We sit and work before a computer, write e-mails and play games on it for fun. Aside from our office and home, a computer plays an important role in numerous industrial locations as well. But industrial computers must run faster and with more efficiency than personal computers do. For that matter, now you can count on WINDOM. Founded in 2004, WINDOM is a multi-player as it covers many business sectors by engaging in LCD video advertising, multifunctional Web-Interworking e-display solution, developing Industrial LCD and touch screen technology, embedded LCDs and touch screens, etc. The computer maker supplies diversified industrial equipment, IT total solutions, and computer main boards for industrial use. In addition, WINDOM also customizes and offer relevant services to customers. And its client list reveals few big names like Samsung, LG, Hyundai, and Intel. 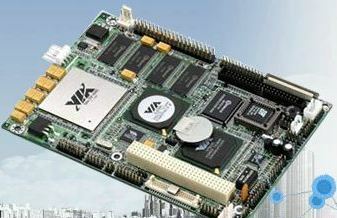 WINDOM’s form factor motherboards in different sizes like 3.5” or 5.5” are the world’s smallest native x 86 platforms and fully compatible with Microsoft’s operation systems and LINUX. They support both INTEL and AMD. Its monitors are using LCD panels from Samsung, LG, and HITACHI, and their screen sizes vary. WINDOM offers tiny embedded computer systems with a complete set-up that includes all peripherals such as HDD, RAM memories, WLAN, etc. Some of them come with LCD monitors attached. For power supply items, it presents DC-to-DC powers and Ac-to-DC powers. The other items are SSD (Solid State Disks), industrial keyboards, wireless systems, HDD impact protection guides, HDD anti-vibration drive kits, and so on. For customized products, WINDOM wants to know what kind of specific system you want to have. If you want more information about ‘WINDOM’, please contact us.